“Women in agriculture either inherited the life or married into it,” says Sherry Strebe Saylor ’72. In 1973, she wed a third-generation farmer in Arizona and ended up falling in love with farming. She connected with the American Farm Bureau at the local level to find support and a community as a young wife newto agriculture, and her involvement has deepened throughout the years. Today, she serves on the national board (one of two women out of 25 members) and chairs the Women’s Leadership Committee. Sherry travels a lot for the bureau and speaks about agriculture. “People want to know where their food comes from, and we want to be transparent about it,” she says. “Most don’t know a single farmer.” She talks proudly about the high quality of American agri- culture, the safest and most affordable in the world. She enjoys debunking myths. Families own 97 percent of farms, and agriculture has turned high-tech with the green revolution, driverless tractors, drones and soil testing. Farmers don’t drench their fields with chemicals; it costs too much and hurts the soil. Integrated pest management uses good bugs to eat bad bugs and relies less on com- mercial pesticides. One farmer feeds 168 people; few receive subsidies. Through the Women’s Leadership Committee, Sherry reaches out to women—a growing sector in agriculture—and teaches them leadership and communication skills so they can tell their stories and be advocates for farming. “We’re geared to motivating our members to be more engaged with consumers,” she says. Sherry grew up in Columbia, South Carolina, where her father taught at the university. 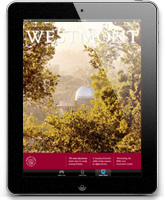 Her parents urged her to attend a Christian college, and Westmont—and Santa Barbara—intrigued her. “I wanted to be an independent girl,” she said. 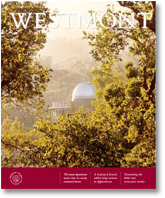 “Westmont taught me to think and look at things from a different perspective. It really solidified my faith. Going to chapel and interacting with professors were powerful experiences that gave me a chance to form my own faith and be authentic in how I live it out.” She majored in sociology and education and enrolled in the first Urban Program. She also traveled to Europe with a professor and fellow education students. Today the Saylors raise alfalfa on 80 acres to feed cows at large dairies nearby. In the past, they grew cotton, alfalfa, barley and durum wheat on as many as 800 acres. Their children grew up working on the farm. 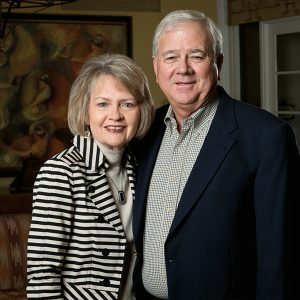 Their son and his wife both teach, their daughter is a worship leader and her husband directs the Arizona Power Authority. Their four grandchildren love to visit the farm. Sherry builds her talks around the four things most important to her: faith, farming, family and friendship. “I love sharing my story and what farming means to me,” she says.